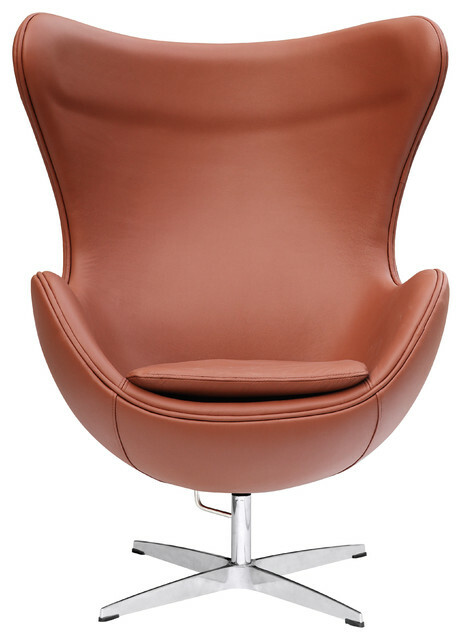 This wonderful chair features a molded fiberglass frame, fire retardant polyurethane foam padding, and covered with 100% Italian leather. This item is a high quality reproduction of the original. W 34" / D 31" / H 43" / 4.06 lb. Sold by In Style Modern- Free Shipping!